Old foes and unlikely new friends appear as invisible forces continue to pry humanity apart. Masks drop to reveal the ultimate truth: on Pearseus, everyone has their own agenda. And they’ll stop at nothing to achieve it. Author. Avid reader. Web developer. Architect by training, holder of a PhD in Digital Architecture from the University of Edinburgh. Nicholas loves to write. 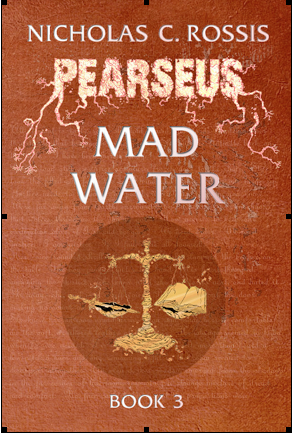 Mad Water, the third book in his epic fantasy series, Pearseus, was just published, while his first children’s book, Runaway Smile, is currently being illustrated. He has also published The Power of Six, a collection of short sci-fi stories. Thank you for hosting me! Please note that the book will be priced at 99c for a limited time (normal price: $2.99). You can download it on http://amzn.to/1wbajhP.